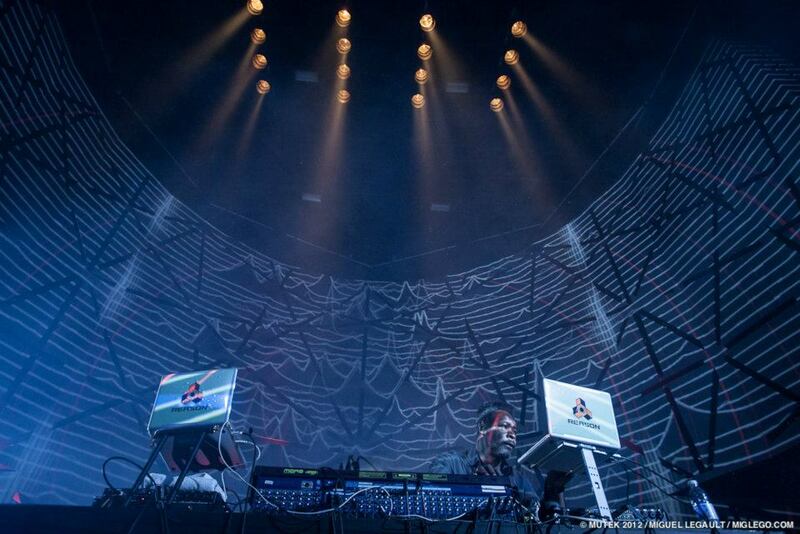 MUTEK_IMG 2013 was the first edition of a new visuals-centric festival in Montreal. 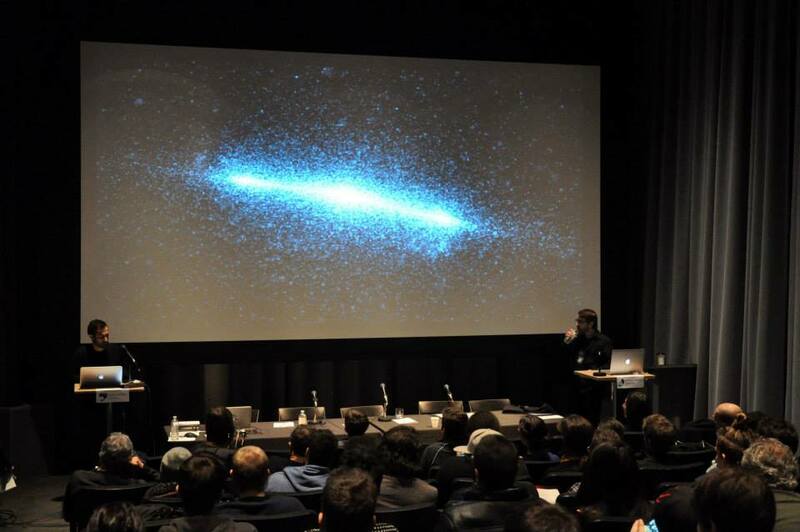 I had the opportunity to participate by giving a talk at a VJ showcase featuring many of Montreal’s talented visual artists. 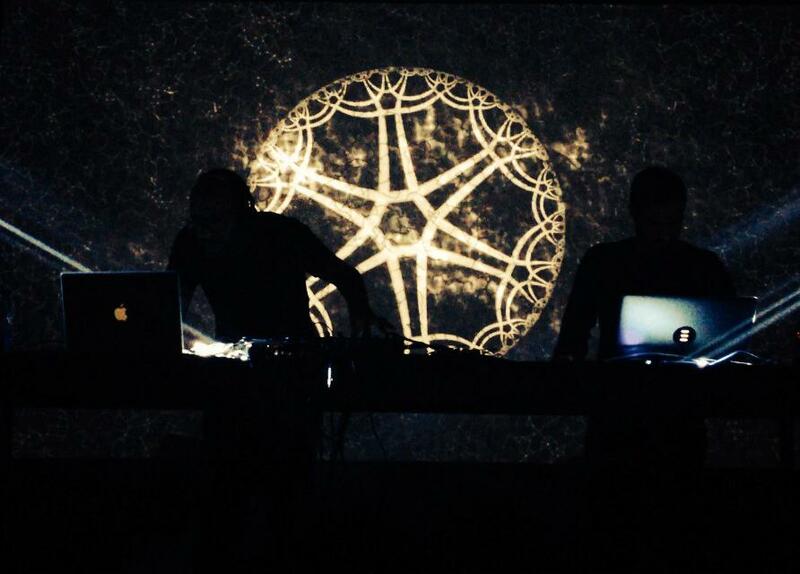 I also performed visuals live along with Mateo Murphy for the closing night of the event. This was definitely my most high-profile performance as I was up on stage instead of in the back of the room where the VJ usually resides. 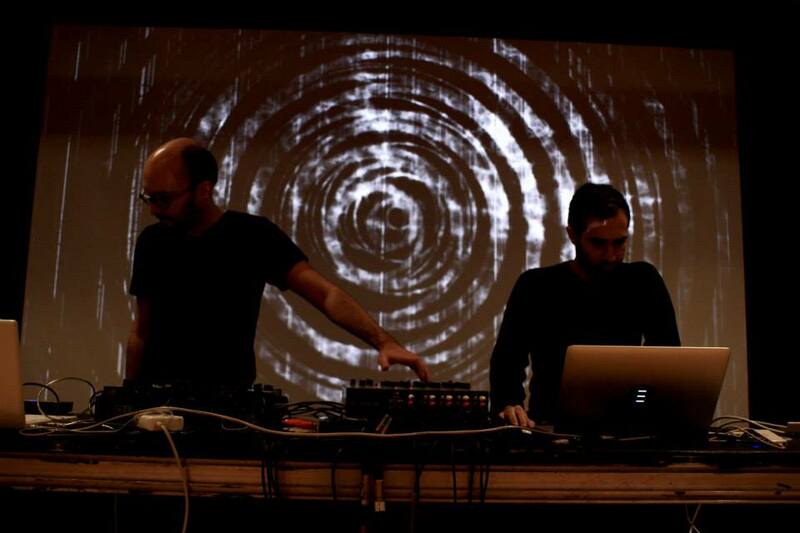 We setup OSC communication between Mateo’s Ableton Live setup and Oculon for better synchronization. This was also one of the first major performances I did using only real-time rendered content. I am very happy to see a festival with more focus on visuals, it was a great opportunity to see the work of other visual artists and get technical with talks and workshops. 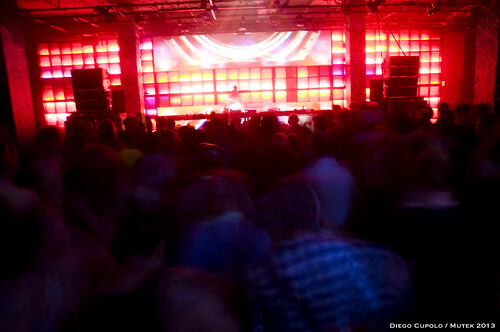 Big thanks to MUTEK_IMG and Centre PHI for putting on an excellent event. I look forward to future editions of MUTEK_IMG. 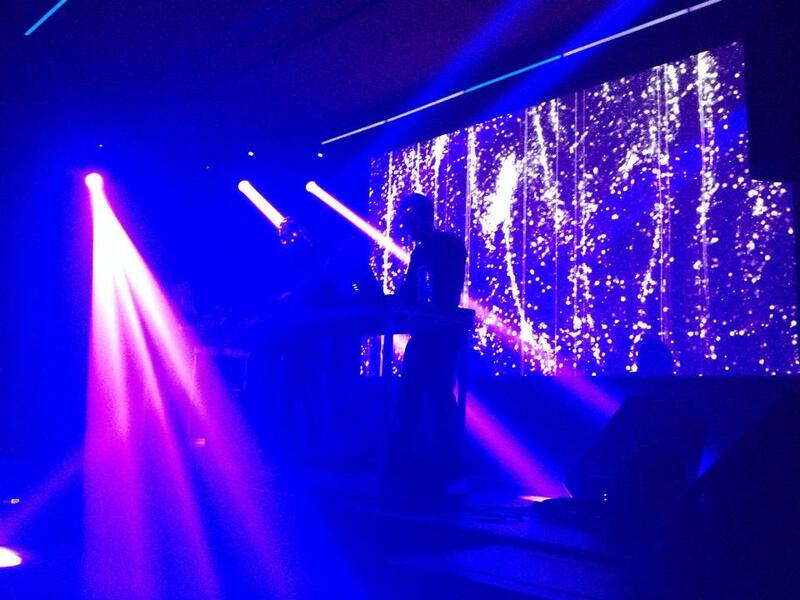 In November 2013, I was invited to play visuals at the opening night of Festival Nemo in Paris with Laurel Halo and Electric Indigo. This was my first international gig, and also the most technically challenging. I had to output at 3840×1080 resolution to two projectors. Even with a recent computer upgrade, my machine was barely able to handle running both Resolume and Oculon at this resolution, so I had to keep layers and effects to a minimum. The video was output using a Matrox DualHead2Go, which creates a virtual monitor but outputs separately to the 2 projectors. I followed Ryoichi Kurokawa, who performed one of the most striking audio-visual shows I have ever seen. I prepared material to fit Laurel Halo’s latest album, Chance of Rain, sticking to monochrome colors and minimalistic patterns. For Electric Indigo I let loose a bit more. As my hardware could barely keep up with rendering in real-time at such high resolutions, I commissioned some help from Diagraf, who generated some high-resolution video content to use along with Oculon. The rest of the festival was also very interesting, showcasing many new media artworks and installations at the impressive Cent Quatre arts venue. It was a privilege to take part in this event, and getting flown to Paris to VJ wasn’t too shabby either. I had the opportunity to play visuals along with some amazing artists this summer at MUTEK Montreal. 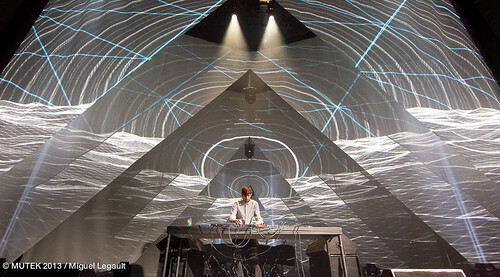 At Metropolis, the stage was setup with a large screen with triangle-shaped layers. For the SAT I coded a custom module in Oculon to play on The Grid light wall created by Iregular. The Satosphere is a 360 degree dome display located at the top of the Société des Arts Technoloqiue (SAT) building in Montréal. This March for Montréal’s annual Nuit Blanche festival, Diagraf performed inside the dome and I had the opportunity to generate some pre-rendered clips for him using the visualization engine I am building. I just got a new MacBook Pro today, turned it on once to make a Lion Recovery Disk thumb drive, then proceeded to unscrew the bottom to perform some organ transplants.